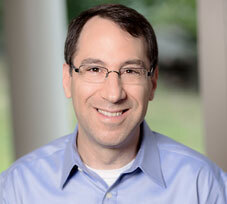 Stephen Burrington (steve@groundworkusa.org) is the Executive Director of Groundwork USA. 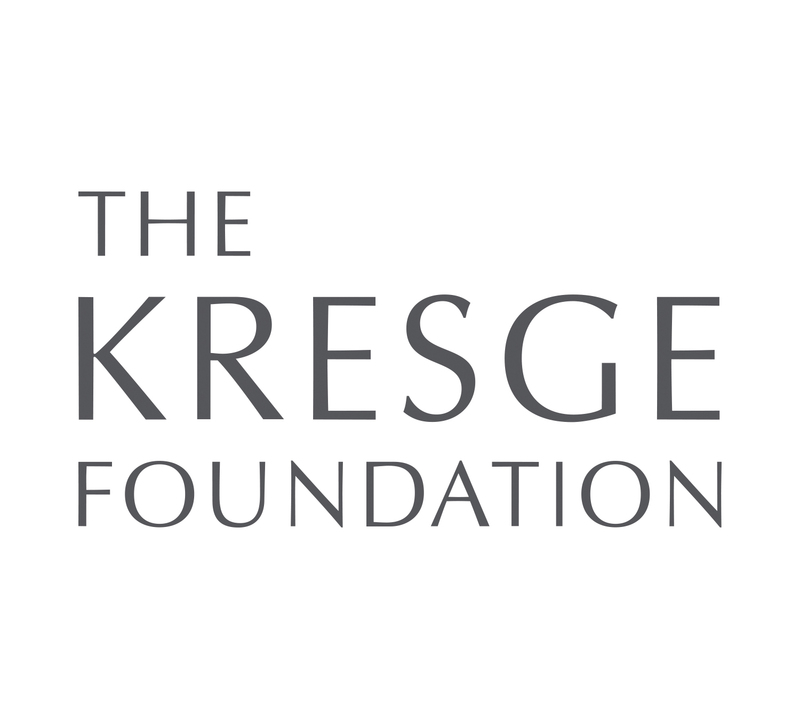 He brings a lengthy record of accomplishment in the non-profit, government, and private sectors, along with a compelling vision for the organization and a deep commitment to our mission of changing places and changing lives. From 2007 until he assumed the Groundwork USA leadership role in 2014, he was a consultant to state and local leaders and diverse private sector organizations across the nation, planning and helping implement strategies in sustainable land use, transportation, and energy. His clients included the US EPA; governors’ offices, state cabinet officials and mayors; environmental, business, and community development organizations; national foundations; and developers of renewable energy and transit-oriented development projects. Steve was formerly Commissioner of the Massachusetts Department of Conservation and Recreation, where he led the formation of the nation’s sixth-largest and most diverse state parks, natural resources and infrastructure agency. He also served as undersecretary in the Massachusetts Office for Commonwealth Development, where he created nationally recognized programs for advancing sustainable development in cities and town centers. Before entering state government, Steve was Vice President and General Counsel for the Conservation Law Foundation, New England’s leading environmental advocacy organization. He began his career as an attorney with the civil legal services program for low-income people in New Orleans, Louisiana, and is a graduate of the University of Edinburgh and University of Michigan Law School. 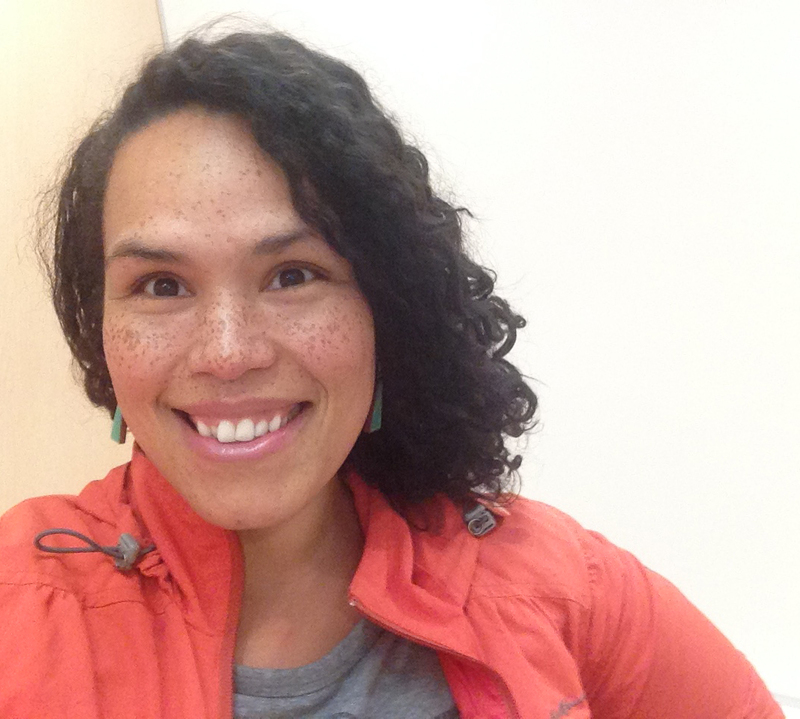 Maria Brodine (maria@groundworkusa.org) is Groundwork USA’s Urban Waters Program Associate. 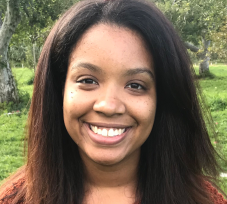 Based in New Orleans, she writes and edits Impact Stories and Network Blog posts for the Urban Waters Learning Network, translates and interprets scientific data and reports, works to connect urban waters practitioners, and contributes to environmental justice programs and discussions. Maria has over ten years of experience as a freelance editor, grant writer, and curriculum designer. She earned her B.A. in English and Anthropology from San Diego State University and her M.A. in Anthropology and Education at Columbia University, specializing in science and technology studies and applied environmental anthropology. After moving to New Orleans to study the history of water management practices, she worked at Groundwork New Orleans, where she led and supported program and staff development, designed and implemented an interdisciplinary research program, and wrote grants to expand organizational capacity. Liz Carver (liz@groundworkusa.org) joined Groundwork USA in October 2015 as Manager of Communications and Network Development. She oversees internal and external communications and helps shape capacity-building activities for the Groundwork USA network. Prior to joining Groundwork USA, Liz worked for CLF Ventures, the market-solutions arm of Conservation Law Foundation, where she provided project management, strategy development, and marketing and communications expertise to projects related to clean energy and climate change, sustainable food systems, and healthy communities. Before shifting to the environmental arena, Liz worked over 20 years as a documentary and website producer for public television and non-profit organizations. 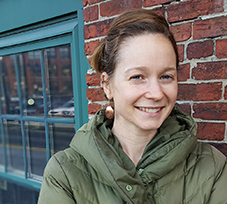 Liz has a BA from Yale University and an MA in Urban and Environmental Policy and Planning from Tufts University. An avid gardener and choral singer, Liz lives in Boston, Massachusetts with her wife. She serves on the Board of Directors of Coro Allegro, Boston’s LGBT classical chorus, and has served on the Board of GreeningRozzie, a community-based sustainability organization. 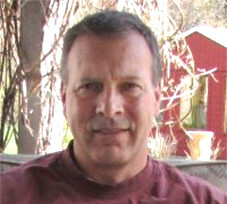 Curt Collier (curt@groundworkusa.org) oversees Groundwork USA’s National Youth Programs. Working in collaboration with the National Park Service and the US Fish and Wildlife Service, Collier has acted to create award-winning corps-styled programs in a number of our nation’s national parks and refuges, including Yellowstone, Grand Teton, Shenandoah National Park, and Gateway National Recreation Area, as well as along the Appalachian National Scenic Trail. 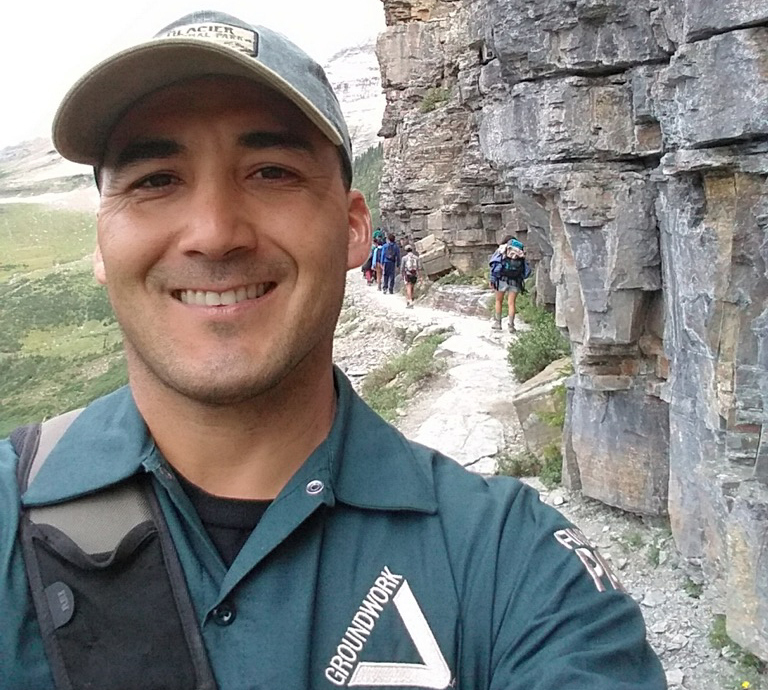 Curt helps to boost the corps competency and youth development capacity of the Groundwork USA network, creates ongoing training opportunity for Youth Leaders, and engages in outreach to funders and supporters to further these efforts. He helps to design programs and workshops at the network level to address emerging issues in youth educational preparedness and career development, and oversees the annual National Youth Summit, gathering together 60+ youth and youth leaders with professionals in the NPS, USFWS, NFS, DOI, and BLM. A leader for the Society for Ethical Culture, Curt has a BA in Philosophy, an MS in Communication Disorders, and certificates in counseling from the Post Graduate Center for Mental Health. Prior to leading the above activities he taught at Texas Tech University, Texas A&M Kingsville, and most recently at Hofstra University. Latanya Jackson (latanya@groundworkusa.org) joined Groundwork USA in March 2017 as Business Manager. In this role, she is responsible for managing grants, preparing financial reports to federal agencies and foundations, and overseeing accounts payable, including grants to Groundwork affiliates and other non-profit organizations. Latanya began her career as a bookkeeper before moving into staff accounting, and later, operations management. Prior to joining Groundwork USA, Latanya was Operations Manager for Fellowship of Reconciliation, Inc., in Nyack, NY, where she oversaw daily operations, including payroll, contracts management, vendor relations, and accounting, and helped to streamline business processes. Latanya received her Bachelor’s degree in Business Management from Briarcliffe College in Bethpage, NY. Latanya lives north of Manhattan with her son Richard and their dog Rocket. She enjoys working out and spending free time with friends and family, especially her two-year-old niece. Latanya also loves to explore new restaurants, eateries, and coffeehouses. She is currently in the process of applying to schools to pursue her MBA. Joseph Leyba (joseph@groundworkusa.org) joined Groundwork USA in July 2018 as Youth Programs Manager. He is involved in building the core capacity of Groundwork youth and their leaders, particularly in the area of construction skills. Prior to joining Groundwork USA, Joe managed and implemented all phases of high-end home remodels. Since 1999, he has worked in a very diverse construction/welding environment, and has experience in the cell tower industry, light-medium equipment, footings and concrete, as well as compaction, firefighting, and irrigation control. He has also spent much time directing work crews, instructing younger coworkers, and coaching youth in wrestling and martial arts. Joe’s previous positions include head welder and foreman in the design and construction of canals, and he holds several professional certifications. A steel artist for 19 years, Joe’s work includes functional art as well as sculpture. He lives in Bosque, New Mexico, with his wife and four boys. Joe enjoys farming, gardening, building vehicles, and working with steel — but most of all, spending time with his family. Cate Mingoya (cate@groundworkusa.org) is Director of Capacity Building for Groundwork USA, working both to strengthen the Groundwork network and to provide technical assistance and support to nationwide brownfield remediation projects. Originally from Queens, New York, Cate began her career teaching middle school science to students in the Bronx and Brownsville, Brooklyn. She transitioned to the policy side of working with low-income communities as the Director of Policy and Program Development for the Massachusetts Division of Public Housing. Cate holds a Bachelors of Arts in Biology from Reed College, a Master of Science Education from the City University of New York, and a Master of City Planning from MIT. She lives with her husband, daughter, and cat in Somerville, MA, and loves coffee, bike riding, canoe trips, and travel. 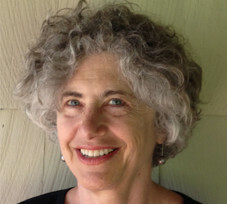 As River Program Director for Groundwork USA, Ann-Marie Mitroff (annmarie@groundworkhv.org) is responsible for co-coordinating EPA’s Urban Waters Learning Network with partner organization River Network. Using her 20+ years of on-the-ground experience in managing conservation and river projects in urban areas, she provides guidance and program perspectives to urban waters practitioners across the country including local Groundwork Trusts through the Urban Waters Learning Network. The Network provides peer-to-peer networking and resource learning opportunities, a communications system, website, and coaching. Ann-Marie is also Groundwork Hudson Valley’s River Program Director. For over a decade, she’s been responsible for implementing river restoration efforts including tree planting and invasives management, water quality and fish studies, wetland reviews, municipal stormwater/green infrastructure projects, and river clean-ups. She coordinated the City of Yonkers’ habitat plan and community engagement process on the eight-year Saw Mill River Daylighting project, completed in 2012. Prior to joining Groundwork, she developed and managed water and energy conservation programs for public and private utilities in Santa Cruz and San Jose California; Washington, DC; and Seattle. 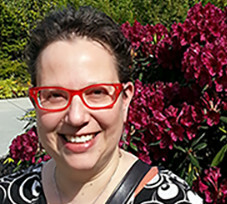 Ann-Marie has an MPA from Seattle University and a BA from the University of Washington. 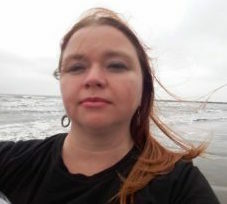 As Groundwork USA’s Interim Operations Director, Stacey Moran (stacey@groundworkusa.org) is responsible for organizing and overseeing the organization’s daily financial and program operations. She also supports Groundwork USA’s equitable development technical assistance program and assists with network capacity building and resource development. Stacey joined Groundwork USA in January 2018 as a Program, Policy and Resource Manager. Before joining the Groundwork USA team, Stacey worked for PowerCorps PHL, an AmeriCorps workforce development program designed to support the City of Philadelphia’s environmental stewardship initiatives, youth violence prevention, and workforce development priorities. Stacey oversaw the provision of social work and supportive services to young adults ages 18 to 26. 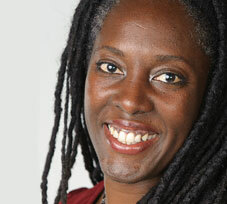 Stacey’s career has focused on the intersection of social work, public health, and environmental justice. Stacey holds a Master of Social Work from Boston University and a Master of Environmental Law and Policy from Vermont Law School. She lives in New Hampshire, where she is currently renovating a 1974 Airstream with her husband, and is an active yogi, creative cook, and adventurer. Heather McMann is the Executive Director of Groundwork Lawrence (GWL) and serves as the president of the Groundwork USA Board of Directors. Heather began consulting with GWL in December 2005, joined the staff as Operations Director in 2006, and became Executive Director in 2009. With over 20 years experience in the nonprofit sector building community and individual assets, she holds a breadth of knowledge in nonprofit management, with a focus on preparing organizations for growth. Prior to joining GWL, much of her experience was with youth organizations focused on creating our communities’ next generation of social justice leaders. Heather received her MBA from The Heller School of Social Policy & Management at Brandeis University and her BA from Smith College. Beyond her roles with the Groundwork network, she serves on the Board of Directors of the Massachusetts Public Health Association, is an Essex National Heritage Area commissioner, a Haverhill Brownfields Steering Commission member, and a volunteer with EforAll and the MSPCA at Nevins Farm. In 2010 Heather was honored to be one of the YWCA of Greater Lawrence Tribute to Women Awardees and to be included in the Irish Echo’s Top 40 Under 40. Deneine Powell is the Executive Director of Groundwork Milwaukee and serves as the vice president of the Groundwork USA Board of Directors. At Groundwork Milwaukee, she leads daily operations and provides strategic direction by collaborating with staff on program strategy, cultivating relationships with key allies, and working with the Board, donors, and foundations. Under her leadership, Groundwork Milwaukee has launched several successful initiatives to promote green infrastructure workforce development programming and to expand the base of volunteers actively engaged in the stewardship of local green spaces. Deneine has over 15 years of consulting and nonprofit leadership experience, most recently as principal consultant of Lilly & Hampton, a small business and resource development consulting firm. Before founding Lilly & Hampton, she worked for several nonprofit groups, including UW Parkside’s Small Business Development Center, Milwaukee Community Service Corps, and the Center for Self-Sufficiency. In addition, Deneine has experience mobilizing grassroots advocates, formulating public policy, partnering with public agencies, and developing programs. 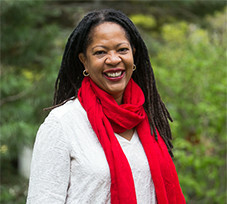 Deneine received her bachelor’s degree in cultural studies and comparative literature from the University of Minnesota, and her master’s in organizational leadership from Marian University. She lives with her husband and two children in Menomonee Falls, Wisconsin. 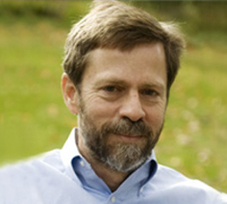 Donald Pomeroy currently serves as the treasurer of the Groundwork USA Board, having first been elected in 2013. Donald has 30 years of project-technical and overall business financial-managerial experience in the science-engineering consulting industry. As a technical practitioner, he is a Certified Professional Geologist and licensed waste site clean-up professional in MA (CPG), with more than experience in directing remediation design, construction, and operations-maintenance programs throughout the Eastern and Gulf Coast states. His operational and business leadership positions have included serving as Director and Treasurer/Chief Operating Officer of Geologic Services Corporation (GSC), a professional environmental consulting firm in Massachusetts that was acquired by Kleinfelder in 2005. Through 2015, Donald served with Kleinfelder, where he was an elected Board member; Senior Vice President; and held leadership and management positions, including for Kleinfelder’s Eastern Division and Texas-Gulf Coast Region. Donald holds a B.A. in Geology from Dartmouth College. Stacey Triplett, secretary of the Groundwork USA Board of Directors, is a dedicated instructor. 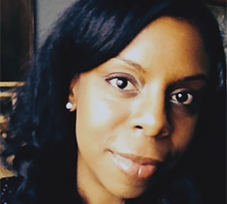 Whether leading African American and Latino households to greater financial capabilities in future homebuyer workshops or developing college students at Portland Community College where she teaches state and local government, Stacey uses a learner-centered, equity lens to evaluate her actions. No stranger to mentoring, she seeks to elevate learning in all environments and values peer-based, culturally specific, bilingual approaches to personal and professional development. Stacey’s public service background includes regional as well as local roles. She has focused on urban habitats, workplace health and safety, public transportation, public water and sewer system improvements, and inventive recycling technologies. Each area supports Stacey’s holistic view of what’s required for effective community development and asset-building. Most recently, Stacey served as Metro’s Senior Managing Analyst in the Sustainability Center. She has more than ten years experience with the regional government of the greater Portland, Oregon metropolitan area. Her past work at Metro includes creation of an interdisciplinary team for urban habitat protection as well as start-up of organization-wide strategic initiatives. She led Intertwine Alliance efforts in the conservation education community, providing service to educational program providers who shared a focus on environmental literacy of residents. 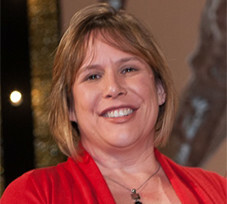 Stacey is a member of the Urban Committee of the National Park System Advisory Board. She is active in local democracy reform efforts as well, most recently supporting Honest Elections Seattle as an exciting reform in the funding of candidates for local government elected positions. Rob Baron joined the Groundwork USA board in 2006, and has served on the Board of Directors of Groundwork Hudson Valley (formerly Groundwork Yonkers) since 2005. With degrees from Columbia University and Hamilton College, Rob has held positions at organizations working in higher education finance, job training, social services, and housing. He spends much of his volunteer time supporting mass transit and active transportation in the New York region, and recently served as co-lead on a local solar energy program. Hillary Brown, FAIA, is Professor of Architecture at the City College of New York (CCNY). 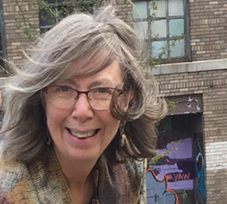 She currently directs CCNY’s interdisciplinary master’s program, Sustainability in the Urban Environment, developed with the Spitzer School of Architecture (SSA), the Grove School of Engineering and the College’s Science Division. She teaches ecological thinking within SSA’s architectural design studios as well as classes in urban ecology and sustainable infrastructure. Hillary serves on the Board on Infrastructure and the Constructed Environment (BICE) under the National Academies’ National Research Council and is a Fellow of the Post-Carbon Institute. Hillary’s two books, Next Generation Infrastructure (Island Press 2014) and Infrastructural Ecologies, (MIT Press 2017) describe alternative, integrated approaches to infrastructure planning that demonstrate the crosscutting benefits of multipurpose, low-carbon, resilient urban services, better aligned with natural and social systems. As a former Assistant Commissioner, in 1997 Hillary founded New York City’s Office of Sustainable Design, developing its High Performance Building and High Performance Infrastructure Guidelines. Since 2001, her consulting practice, New Civic Works, has engaged public and institutional clients in greening their capital programs. Hillary joined the Groundwork USA Board of Directors in September 2017. Veronica Eady is the VP and Massachusetts Director of Conservation Law Foundation (CLF), New England’s premier environmental advocacy organization, where she advocates for environmental justice, food justice, and transit equity. She re-joined the Groundwork USA Board of Directors in September 2016, having served previously from 2006-2008. Before joining CLF, Veronica worked as a consultant in Berlin, Germany, specializing in environmental justice and human rights. She previously served as Associate General Counsel and Director of Environmental Justice at New York Lawyers for the Public Interest, a non-profit civil rights law firm; as Director of the Environmental Justice and Brownfields Programs for the Massachusetts Executive Office of Environmental Affairs, where she was the principal author of Massachusetts’ Environmental Justice Policy; and as Executive Director of the Roxbury, MA-based environmental justice advocacy organization, Alternatives for Community and Environment. Veronica has held appointments on several faculties, including Europe-Viadriana University in Germany; Tufts University, in the Department of Urban and Environmental Policy and Planning; Fordham Law School; and Stanford Law School. She is the former chair of EPA’s federal advisory committee for environmental justice, the National Environmental Justice Advisory Council. 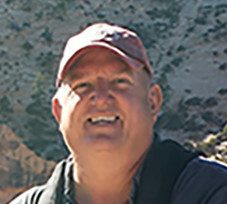 Mickey Fearn has served on the Groundwork USA Board of Directors since 2015. A parks, recreation, and conservation professional for over 45 years, he is currently Professor of Practice at North Carolina State University’s (NCSU) Department of Parks, Recreation and Tourism Management, and was formerly the Deputy Director for Communications and Community Assistance at the National Park Service (NPS), where he worked to increase the participation of currently under-represented groups in our parks. 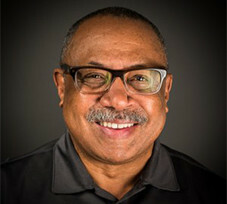 Prior to joining NPS, Mickey was at Seattle Parks and Recreation, developing and implementing programs to connect urban youth to the natural world while promoting personal responsibility and healthy lifestyles. He also managed Seattle’s Race and Social Justice Initiative and led a range of successful community renewal programs as director of the Seattle’s Innovation Project and executive director of the Neighborhood Leadership Program. At NCSU, in addition to teaching classes, Mickey works with the College of Natural Resources’ (CNR’s) Community for Diversity in Natural Resources to address its challenges regarding diversity and inclusion and engaging in cross-campus diversity activities. He is also working with local government and non-profits to engage communities of color in ecology and environmental activities, and connecting federal agencies to the important research and work that CNR is doing. A native of Lawrence, Massachusetts, Jessica Horton is a Groundwork Lawrence Green Team alumna from 2009-2012. Jessica also worked for Groundwork Lawrence as an Urban Adventures Summer Camp Counselor and as a Forest Foundation Fellow intern. Throughout her time at Groundwork Lawrence, she was exposed to a range of experiences and complex issues prevalent in the community, which later became the catalyst for her undergraduate and graduate studies. Jessica holds a BA in International Development and Social Change from Clark University in Worcester, Massachusetts, as well as a MS in Nonprofit Management with a concentration in Project Management from Northeastern University in Boston. Her areas of academic and social interest include analyzing social determinants of health in lower income and culturally diverse communities, as well as furthering her skillset in the nonprofit sector through fundraising, organizational development, and capacity building initiatives. 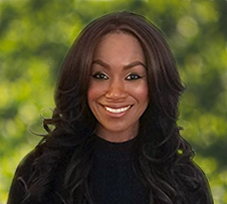 Jessica currently resides in the Washington Heights neighborhood of New York City and loves trying new restaurants and enjoying public green spaces in the city.